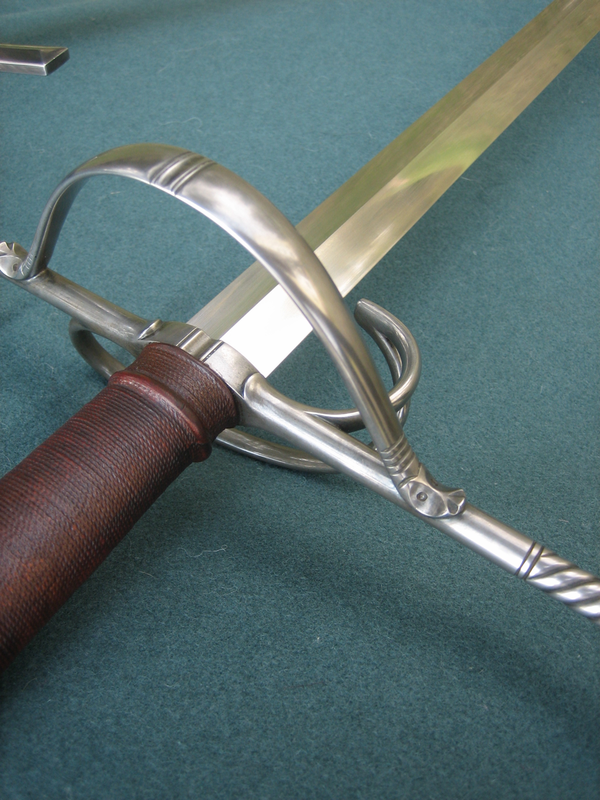 A long thrusting sword known as a “Tuck” or “Estoc” of a type that was used in the 15th and 16th centuries. 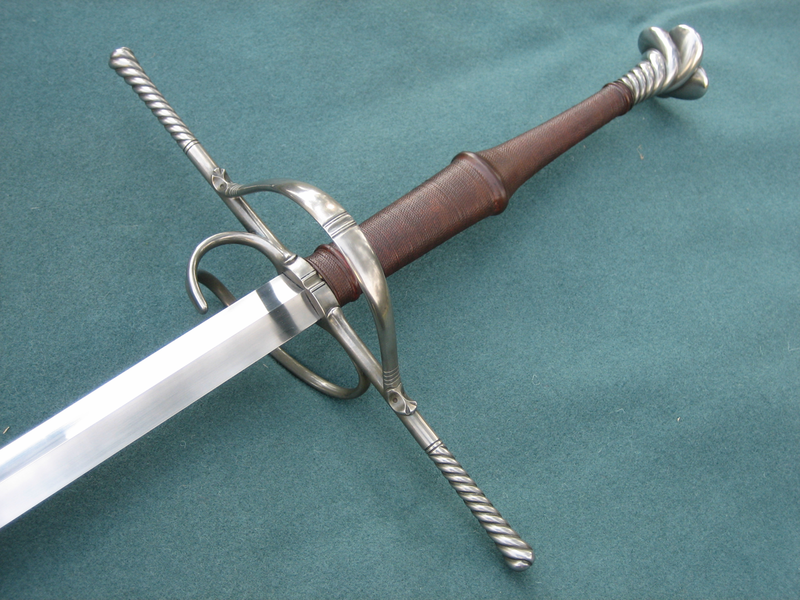 This sword is made in a style that can be identified as of German origin made sometime in the early 16th century. 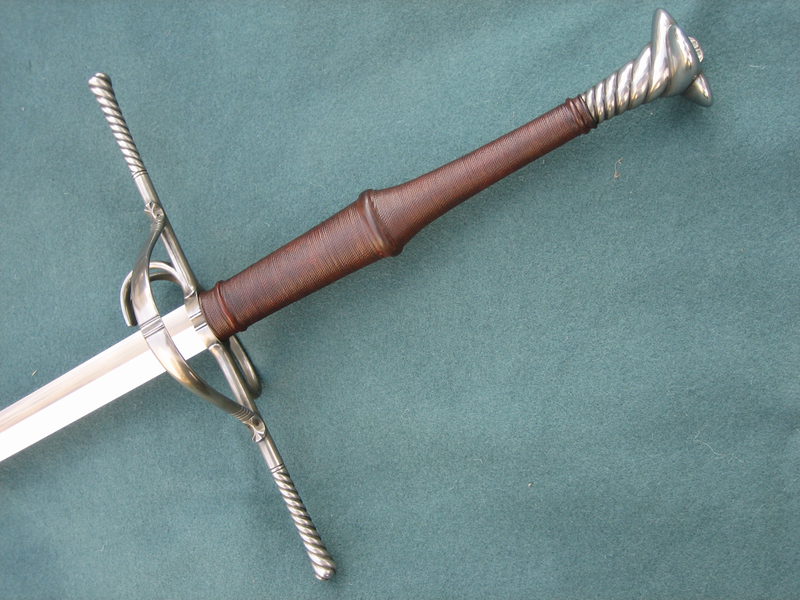 The long slim but sturdy blade is thick in cross section with hollow ground edge bevels. It is specialized for thrusting techniques and has a quick and nimble balance. 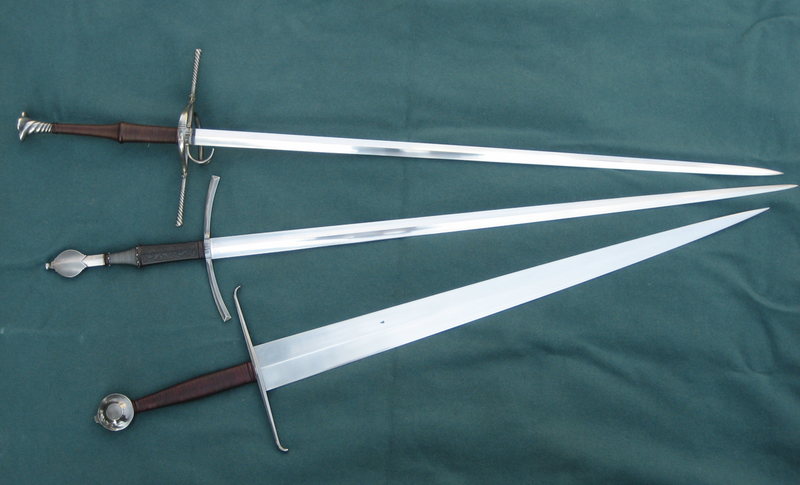 It is the weapon for an expert swordsman. 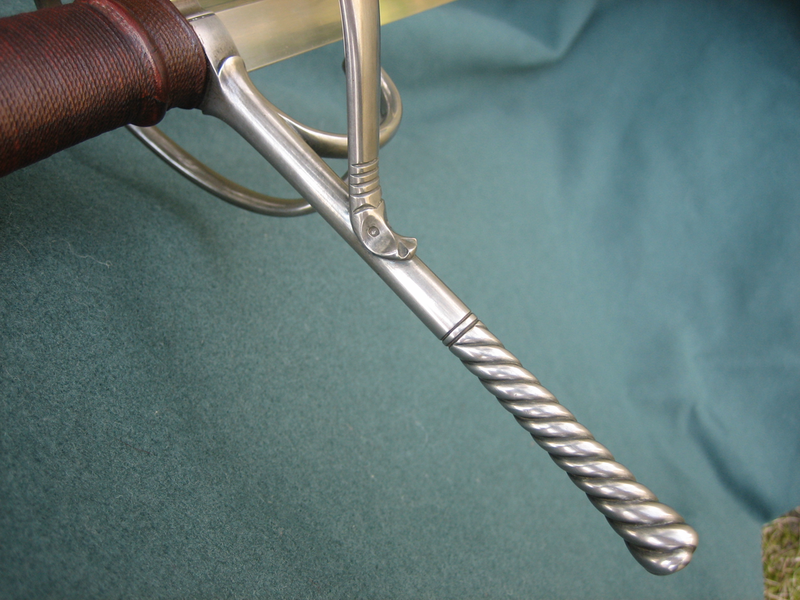 The hilt is forged from steel with file worked decorative elements. 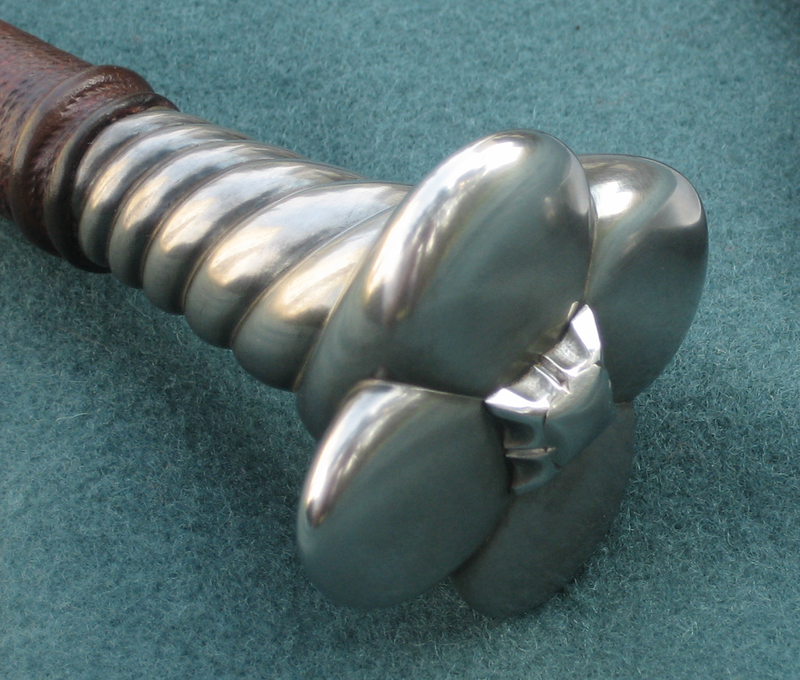 Both blade and hilt have a hand rubbed finish for a satin luster. The grip has a core of wood that is sandwiched in four parts around the solid tang. The core is then wrapped with a thin cord. Calf leather is then applied while wet and secured with an over binding of cord while the hie glue cures. This makes for a very strong construction that is copied after well preserved originals.